BEIJING/SHENYANG, Feb. 22 (Yonhap) -- A Chinese hotel near the border with North Korea stopped receiving reservations for this weekend, a source said Friday, in a sign that the North's leader Kim Jong-un could travel to Vietnam by train for his second summit with U.S. President Donald Trump. "I heard that only Chinese guests were allowed to stay at the Zhonglian hotel tonight, and even they were told to check out by tomorrow morning," a source said. "The hotel says they need to do some repair work, but it seems to be related to Chairman Kim's special train." The hotel in the Chinese border city of Dandong is located near the Sino-Korean Friendship Bridge that links the two countries. The move came amid speculation over whether the North Korean leader will fly or travel by train all the way to the Southeast Asian nation for the upcoming summit in Hanoi set for Feb. 27-28. The hotel has not received bookings in the past when the North's leader has traveled to China by train. The hotel's decision suggests that Kim's train could cross into China on Saturday evening and arrive in Beijing on Sunday, where he could meet with Chinese President Xi Jinping before heading to Hanoi for talks with Trump. Another possibility is that Kim could fly to Vietnam but still send the special train to the Southeast Asian nation empty so that he can take it to get back home. In that case, he could meet with Xi on the way to Pyongyang. 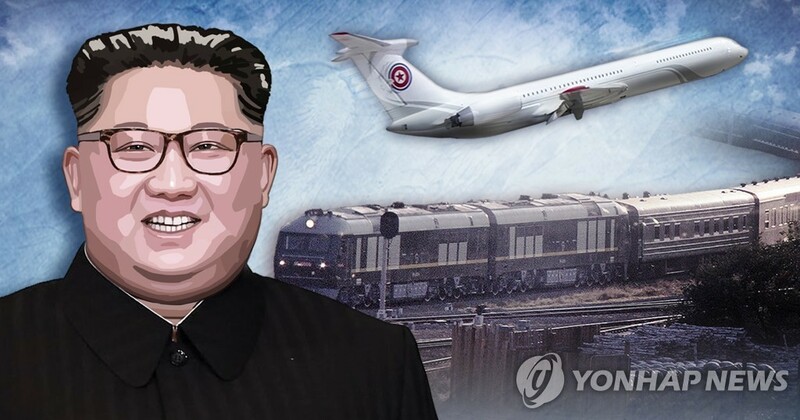 "Even if Kim's special train crosses over Dandong, we can't know for sure that the leader is on board," another source said. Kim Chang-son, known as the leader's "butler," reportedly inspected a rail station in Lang Son, Vietnam, a city near the Chinese border on Sunday.